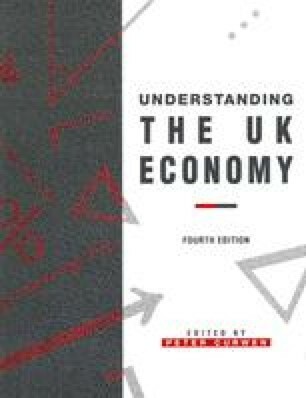 Our purpose in Chapters 7 and 8 is to describe the components of the UK fiscal system and to provide an up-to-date statistical analysis of taxation, government expenditure, borrowing and debt. We do not seek to discuss the operation of fiscal policy instruments as such, which is left to the concluding chapter because it is unhelpful to discuss fiscal policy independently of monetary policy. Furthermore, it is impractical to discuss the use of policy instruments until all of the relevant policy objectives have been thoroughly reviewed, and their inter-relationships assessed.